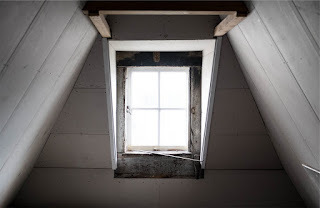 Home Financial news Financial Tips Is The Winning Lotto Ticket In Your Attic? Is The Winning Lotto Ticket In Your Attic? We’ve all had vivid dreams about winning the lottery, living a life of sunshine and fantasy only to wake up and get slapped by reality, starting with the fact you are still in your freezing cold bedroom and not the tropics. But what if you had the winning lotto ticket lying around in your attic? In 2010, a vase was found in an attic in London that went on to collect £53million pounds at auction. It’s crazy huh. But what if the same could happen to you? What if the answers to all your financial woes are lying on the floor of your attic, covered in dust and battered dolls your grandma used to play with? Of course, the big question is, how do you make money from the old junk (read: priceless antiques) that’s littered around your home? Well, first things first, read on to see our top tips. 1. One estimate is never enough. Know that. Instead, if you think you have found something of interest, make sure you shop around for valuations because you’ll be flabbergasted at just how much estimations can vary. So, as a rule, get a minimum of three independent valuations. 2. 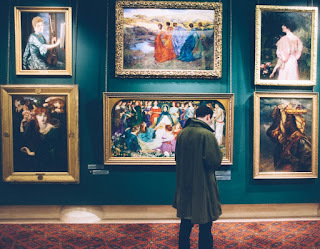 Examining art is in itself an art, one that usually starts off as a hobby. So, if you have a picture on your wall that you think may be worth a bunch, start off by examining it with a magnifying glass to check it is painted (and not just a print). That said, don’t dismiss something just because it is a print - limited edition prints can be worth a fortune. The other thing to remember is: NEVER REMOVE AN OLD PAINTING FROM ITS FRAME. Not only could you risk devaluing the picture, you could damage the frame and frames can be worth a lot in their own right. 3. Coins can be worth a lot more than the number printed on them. A lot more. To prove this, we recommend you take photos of any old coins you may have kicking about and pop along to a https://www.usacoinshows.com/ to see when the next coin show in your area is. Trading coins is a big business these days. Get the right year, and the historical value could be huge. 4. Old watches don’t have to have a recognisable face to be worth a fair chunk. Yes, Rolex and Patek Philippe and Cartier are all well-known for their expense, but finding one of these does not guarantee you can retire just yet. In fact, it is finding an antique watch from one the lesser known brands that tend to command the biggest fees these days - Movado, Geneve, Enicar; those types of brand. 5. By George! Quite literally because in the Georgian era of history, most things were made as a one-off, which means their rarity levels are sky high. Rare, in antique terms, means desirable, which means valuable. Furniture, tableware, ornaments, art and even clothing - it could all collect a hefty fee. 6. Pop-culture of today could be the big seller of the future. 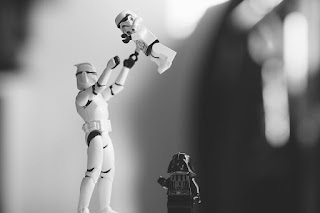 Just look at http://www.ebay.co.uk/ to see what is happening with Star Wars merchandise these days; figurines can fetch thousands and collections can reach the hundreds of thousands. Of course, no one can predict the future, but Harry Potter stuff is a pretty good bet.